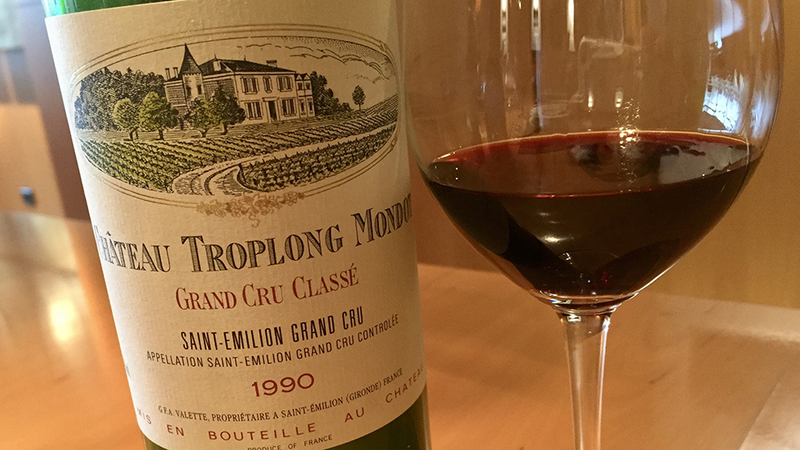 Even after all these years, the 1990 Troplong Mondot remains absolutely stunning. Soaring aromatics, spectacularly rich fruit and silky tannins give the 1990 is exotic, alluring personality. Raspberry jam, spice, mocha and espresso nuances are some of the many aromas and flavors that fused together in a wine of extraordinary beauty. Plush and sensual on the palate, with no hard edges, the 1990 is every bit as arrestingly beautiful as it has always been. I did not taste the 1990 when it was first released, and can only imagine how flamboyant it must have seemed back then, as remains quite extroverted today. Interestingly, according to its label, the 1990 clocks in at 13.5% alcohol, while today’s wines are often in excess of 14.5% alcohol or higher. Let me be clear, I am not a huge fan of pigeonholing wines based on a single parameter that can be easily taken out of context. Even so, the differences between the two eras are marked and worth noting. Indeed, tasted within the context of present-day vintages, the 1990 comes across as an almost classic style of Saint-Émilion! This is tremendous effort from late proprietor Christine Valette and consulting winemaker Michel Rolland. Readers lucky enough to own the 1990 can look forward to many years of thrilling drinking. 98/Drinking window: 2018-2033.